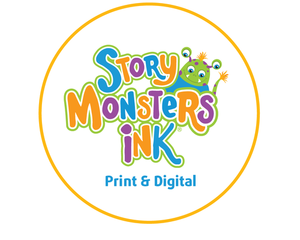 Writing book reviews this year for one of the top rated children’s literature magazines in the nation, Story Monsters Ink, has been not only FUN (who doesn’t love getting a sneak peek of amazing books?) but also incredibly fulfilling as a writer. Through this writing experience, I have discovered so many NEW mentor texts and styles of writing that are inspirational for readers and writers of all ages. Click on my “Book Reviews” Link for more! Thank you to the authors for being brave and vulnerable (right?) in sharing their works with the world. Oh, how I love poetry. 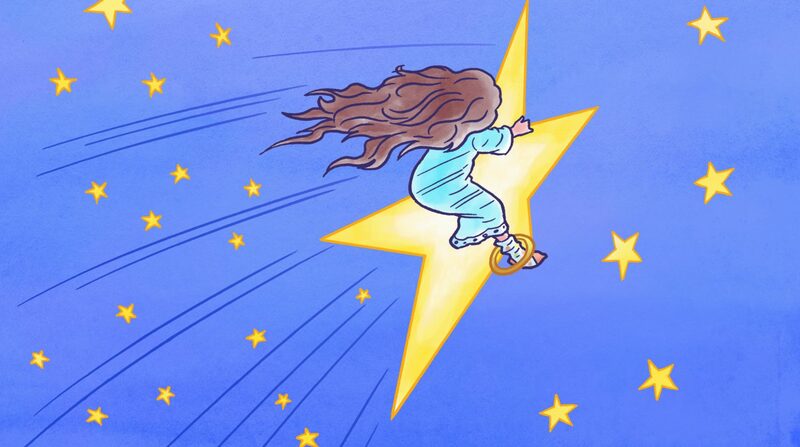 And whimsical illustrations. So this stunning and creative book featuring the poems of the John Keats (originally published in 1901 from The Complete Words of John Keats) and pictures by Caldecott Winner Chris Raschka tugged at my heartstrings and reaffirmed the fact that I do indeed love poetry. Per the illustrators note in the back of the book (and in my opinion just as important to read and discuss as the book itself) we find out that this poem is a letter John Keats wrote to his beloved sister after a twenty mile adventure and trek through the mountains of Scotland. It is about a ‘naughty boy’ who goes on a quest of wonders and ‘follow[s] one’s nose To the North, To the North” and writes poetry as he wonders. Childhood memories (Granny, washing tubs, ink stands, and running away) are referenced in short, fragmented and rhyming prose. (Note: I love how poetry is the asterisk, the EXCEPTION, the rule breaker! to grammar and mechanics). Accompanied by Mr. Raschka’s distinctive (and stunning) watery and soft edged designs, this book is definitely a must for poetry lovers of all ages. Childhood is such a precious, fleeting, beautiful and vulnerable time for little ones (parents included!). Having stories that address our anxieties, name them, encapsulate them, and hopefully calm them is incredibly important, not to mention awesomely comforting! I Am (Not) Scared by Anna Kang and illustrated by Chrisopher Weyant (winning author/illustrator team of the Theodore Geisel Award I am (Not) Small prequel) shares a day in the life of two animal creatures having a conversation about being brave…and scared. Told completely in large, easy to read dialogue (speech bubbles without the bubbles) the furry friends debate what is scary and what is not scary (a tub of hairy spiders or a pit of hot lava is DEFNITELY scary!) The reader then discovers the setting of the story and root of their cute exchange…a rollercoaster park! This story is fantastic for making inferences based on the animal’s expressions and conversation (illustrations are vibrant, colorful, and pop against a white backdrop) Best part? They decide to be scared together! The ending is a sweet reminder that having friends makes us feel A LOT better in scary situations…and talking about our feelings is absolutely OK! This alphabet story is one of the most delightful, charming and innovate representations of the alphabet I’ve ever read! The thoughtfulness Ms. Moniz clearly puts into each illustration is truly remarkable- mostly because every single picture represents the feeling in such a “Yes, I feel that way too!” or “I can’t believe she captured that feeling so explicitly!” Each stunning page is a single word describing an emotion…Brilliant, Daring, Original and Uncertain are just a few of my favorites. A little boy is on each page in a variety of circumstances – and these circumstances, surroundings, and scenarios are SO CLEVER! On the ‘M’ page, the little boy feels “Mini” and is tucked inside someone’s pocket. Patient? Putting together a huge puzzle. Warm? Snuggled in mommy’s embrace. One that tugged at my heartstrings is “Adored”- a huge wall of framed photos with the little boy’s sweet face grinning in the middle (I have one of these walls for my little ones!) I believe when these feelings are written down, in this case by the masterful Ms. Moniz, it affirms to readers that it IS normal to have huge ranges in emotions and being honest and authentic about them is the best (and most healthy) response of all. Time to Dream by Timothy Khan and illustrator Helen Oxenbury is an enchanting and special story about a brother and sister exploring the woods in hopes of discovering the source of rhythmic, unusual (and fun to read) ‘nighttime noises.’ (Helen Oxenbury is also the illustrator of the beloved and classic We’re Going on a Bear Hunt, which lends itself beautifully to a compare and contrast literature discussion/lesson). Jack is very nervous and keeps asking his sister Alice if what they’re hearing is “…the Wicked Wolf…with his big bad claws and his snap-trap jaws?” Alice is adorably reassuring while they meet exquisitely illustrated woodland creatures along the way. The ending reveals a surprise (with Jack not being entirely wrong about his worries!) that will delight readers and hopefully lull them into their own sweet slumber, or as author Timothy Khan so beautifully writes; And they sailed off to sleep on that sweet lullaby. Lighter than Air by Matthew Clark Smith and stunningly illustrated by Matt Tavares shares the inspirational journey of Frenchwoman Sophie Blanchard’s first flight in the air, and even better, the first woman to accomplish such a phenomenal feat. As a very young girl, Sophie was (restlessly) in admiration of the brothers Montgolfier with their incredible hot air balloon aerodynamics, and later on her ‘dare-devil’ balloonist future husband, Jean-Pierre Blanchard. Her loving husband recognized Sophie’s zest for life, and ballooning, and created opportunities for her to fulfill her dreams of flying. This true story encapsulates Sophie’s fulfillment of her dreams, the experience of flying, and the really BIG deal it was to have a woman’s name shared amongst the her male peers. The author’s note at the end is tragically fascinating and sure to spark even more interest in this little known, but incredibly brave, woman of the sky. Illustrations by Matt Taveres are gorgeous- from detailed borders around each picture, to brightly colored hot air balloons- all the while subdued enough to emulate the era. Just another reason I LOVE true stories.